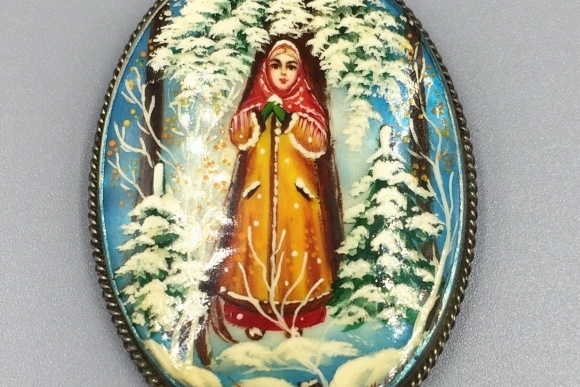 This exquisite antique Russian Fedoskino brooch in German silver, features a miniature winter landscape with a Russian girl cloaked in orange red traditional Russian dress. 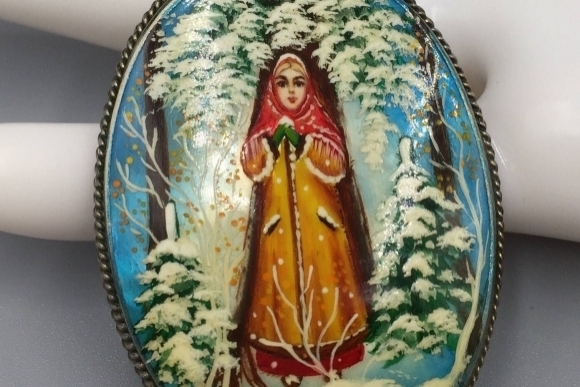 Hand painted on lustrous mother of pearl. 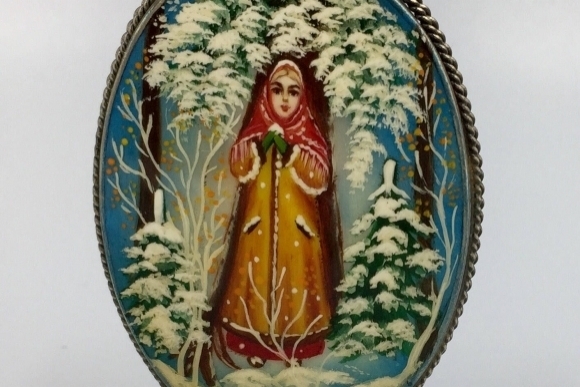 The snowy landscape highlights a snowy Russian scene. As the brooch moves, the mother of pearl glistens in beautifully subtle iridescence. This is a special, and incredibly beautiful piece of art, made to wear. 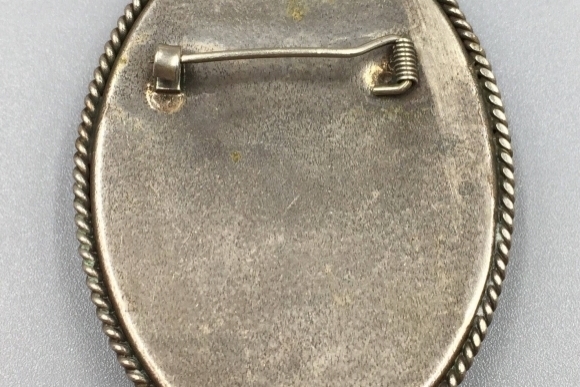 Secured by a tight C clasp. Hand signed on the edge. Very good condition. 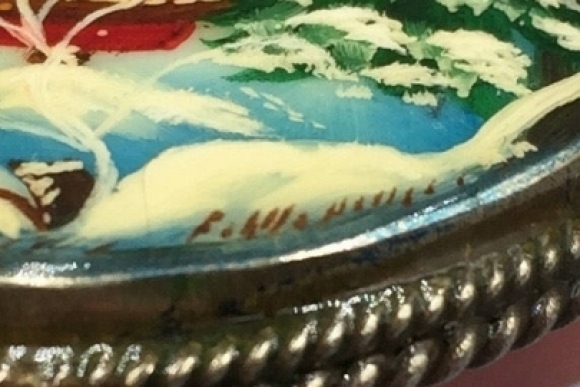 The German silver shows some wear on the back.